Community run Longborough village shop is gearing up for Christmas and is offering a wonderful selection of festive hampers for shoppers to purchase. Prices range to suit all pockets and a very high level of quality products. The shop is groaning with goodies and a mass of chocolate items for those with a sweet tooth. 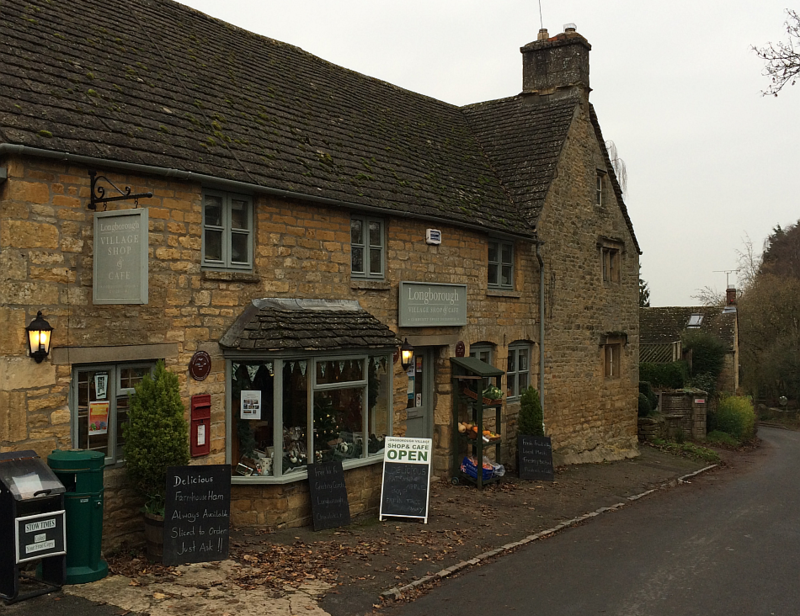 This small village shop offers a vital service to elderly members of the community and is a wonderful asset worth preserving. It takes a dedicated team of volunteers, along with an excellent manager to keep the shop fully operational. There is also a small café much frequented by walkers who enjoy the many footpaths on Sezincote estate and the surrounding area. The shop is very much a hub for local folk to see each other, get their basic groceries & daily paper and three times a week there is a mobile post office in situ. Not many villages still have a shop, pub, church, school and hall all still thriving and Longbrough is very fortunate to have all five. The shop enables us to all keep in touch and the notice board keeps everyone straight on what local events are coming up.